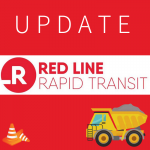 Due to the wide variety of concerns and questions revolving around the temporary interventions being installed on Central for the duration of Red Line construction on College Ave, MKNA is seeking answers directly from the Indianapolis Department of Public Works. In the interest of time, we ask all interested neighbors to submit questions for DPW using the form below. All questions will be reviewed by MKNA & the Infrastructure Chair and filtered for relevance, appropriateness and duplication and presented to DPW. 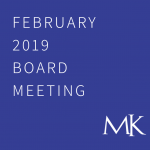 All questions asked and answered during the Board Meeting will be on the record and made available following the Q & A session on our website and social media. The Board Meeting will be held at The National (215 E. 38th Street). When will the bridge repair on Central south of Fall Creek Pkwy be completed? What is the expected traffic speed for Central during Red Line construction? If it is less that 35mph, why isn’t the posted speed limit changed? I am thinking, why shouldn’t Central avenue be used for traffic flow during construction, and after. College is so busy and will be busier after the redline. I live on Guilford and the “cut through” traffic is terrible, I wish they’d install speed bumps here.